The ancient Greek Father of Medicine, Hippocrates, penned that “all diseases begins in the gut” and that for true healing and optimum health, we need to exercise, “let medicine be thy food and food thy medicine” and the “natural forces within us are the true healers of disease”. The word “diet” comes from the ancient Greek “diaita,” which means “the way of life.” In Ancient Greece, a diet was about good health and, one component of that, was food. Good health required the nurturing of the mind, body and soul. The diet was a key component to ensuring good gut health and a healthy immune system. The ancient Greeks also noted the correlation and the link between the gut and emotional/brain health. The gut plays an important role in our emotional health and our digestion actually plays a key role in our natural immunity to diseases. The gut helps keep toxins at bay. A healthy gut will have the ability to break down or neutralize the toxins that may have been taken in, along with some food or the environment. It breaks down food and helps in the extraction of essential nutrients that the body needs to perform. The gut has an entire ecosystem of bacteria and yeast – some beneficial to us and others toxic. Like all ecosystems, the delicate balance of the digestive tract can be altered by various toxins including antibiotics and other drugs, chemicals like chlorine and fluoride in our water, food additives and preservatives, GMO’s, stimulants like coffee and an overabundance of difficult-to-digest foods like improperly prepared whole grains and non-organic meat. Cook and Eat ingredients and foods with a high vibrational frequency. These include fresh certified organic fruit and vegetables food (especially greens and living grains such as sprouts), natural supplements e.g. spirulina, Herbal Teas, Herbs and spices, pure or filtered water – reverse osmosis or freshly collected spring water are the best choices (fluoride and chemical free), good oils e.g. olive oil, coconut oil and avocado oil, eat raw foods, dehydrated and lightly steamed food e.g. anything in its uncooked, minimally processed raw, sprouted and organic state, raw nuts and seeds, fermented foods, raw chocolate, natural sweeteners such as raw honey, grape must and maple syrup, legumes, grains such as couscous, kamut, buckwheat, brown rice, amaranth, spelt and barley and incorporate Omega-3 to Omega-6 fats and foods. Keep to a minimum or avoid low vibrational foods and ingredients. These include genetically modified (GMO) food and conventional food that has been treated with chemicals and pesticides, white rice and flours, sugars, artificial sweeteners (unhealthy bacteria thrives on sugar), coffee, sodas, alcohol, meat, fish and poultry, processed, packaged, canned and fast foods, unhealthy oils e.g. canola, soy, cottonseed, margarine, lard and vegetable oils, frozen foods, pasteurized cow’s milk, yoghurt and cheese and cooked foods that are deep fried and microwaved. If you eat meat make sure it is organic or at the very least grass fed and grass finished. Ensure that fish and prawns are not farmed. In particularly avoid tilapia, farmed salmon and farmed prawns. These are usually fed toxic GMO feed etc. When eating fruit and vegetables, eat a variety of colors. Eat fruit and vegetables that are in season for optimum nutrition. Fermented foods include Greek yoghurt, kefir, sauerkraut, miso, kimchi, kombucha, and raw pickles. These probiotic foods help detox the gut and our immune system. Adopt Healthy And Happy Thoughts. To assist with emotional health, the ancient Greeks incorporated meditation therapy, prayer therapy, eating therapy, music therapy, light therapy, chakra therapy, massage therapy, sun therapy, exercise therapy etc. For example, Aristotle knew that the power of music could heal the sick and many doctors in ancient Greece used vibration to aid in digestion, treat mental disturbance, and induce sleep. Aristotle in his famous book De Anima, wrote that flute music could arouse strong emotions and purify the soul. Another important eating practice for good gut health and immunity is to eat with peace, calm and joy. It is important not to rush meal times. In Greece, people leave their work for lunch to go home and to enjoy the meal with their families and friends. When we rush our eating time it interrupts the harmony, the flow of energy and the time needed to enjoy a meal that in the end will nourish and heal our body and soul. 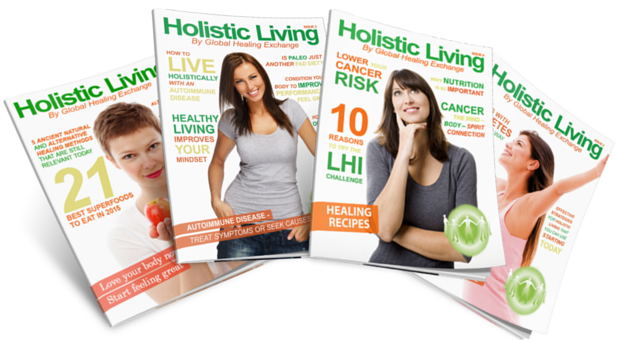 The FULL version of this article is featured in our quarterly eZine, ‘Holistic Living Magazine’… grab YOUR copy now at NO COST and read many more articles about the immune system too! If you would like to learn more and work with me one on one, I would love to work with you.